Where are the guns exported? to open the folder. 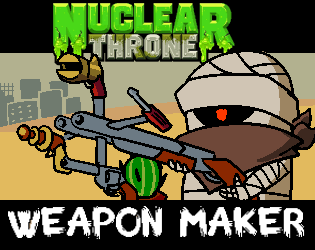 It'll be located in the folder "customwep.wep"
I'm not sure if I was running it properly, but when I customize a weapon, I can't test its properties and there doesn't appear to be a way to assign a sprite to the weapon. It's a cool mod in concept though! I see. That's unfortunate, but the mod is still cool. how do u use this mod?!!?!?!?! ?